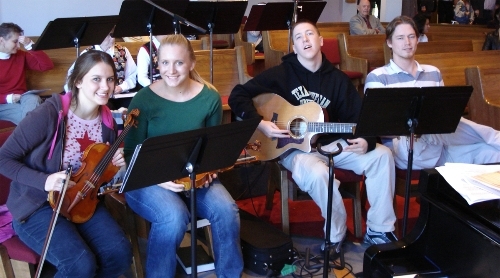 The music ministry at Grace UCC is open to persons of all ages. There are opportunites for children to sing, for youth to play instruments in the Praise Band and for anyone to sing with us in the Praise and Worship Team. 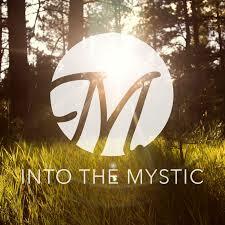 The style of music ranges from traditional to contemporary with many types of music in-between as well. All music is chosen to complement the parts of the service or the theme each Sunday. 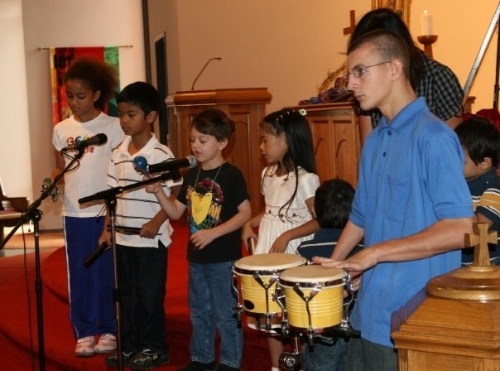 Singers, instrumentalists and children united to present a celebration of music on the Sunday that Gethsemane UCC and Evangel UCC merged to become one church, Grace UCC. The Praise and Worship Team has fellowship together after rehearsal. Our college students add their instrumental talents whenever possible. 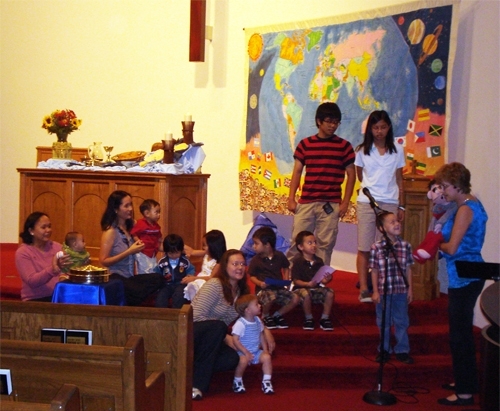 The children sing and play instruments to honor God on Rally Day. Jesus said "Let the little children come unto me." The youngest members of Grace come up front to sing "Jesus Loves Me" in a medley of songs sung with the choir in the anthem "Be Like a Child" written by Grace music director, Lisa Jastram. Jimmy the puppet sang along. 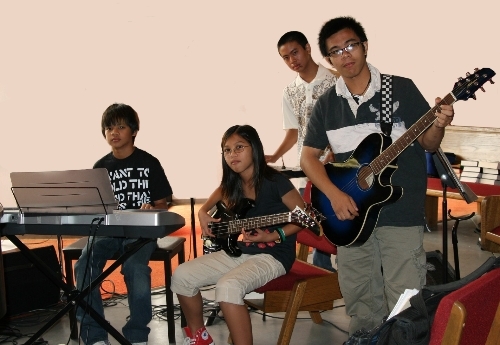 Instrumentalists for the praise music are the wonderfully talented Jaime, Rajinee, Paulo and Kaleb. 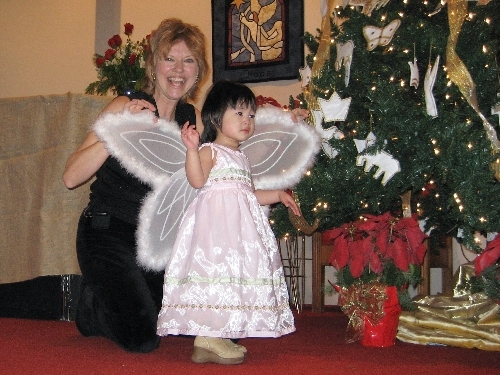 Little angel at Christmas time.